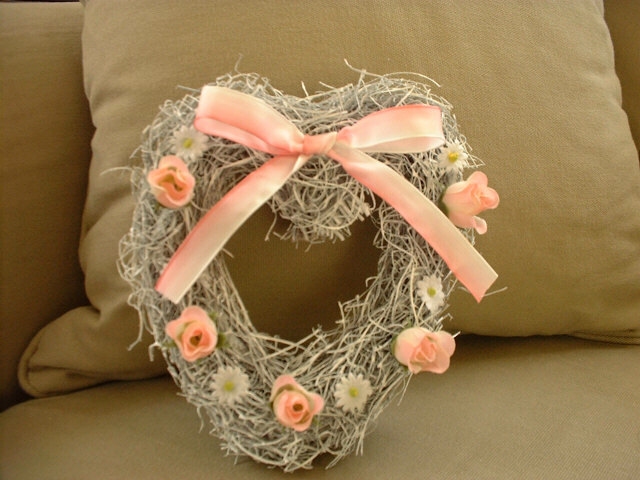 We provide you our hand made wreaths. Also, please note, these are hand-made-wreaths, therefore, we cannot make "exactly" the same item as pictures on this page. 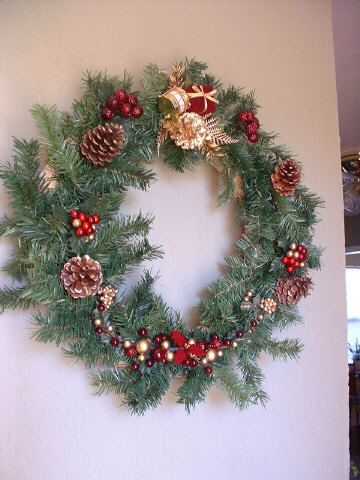 This wreath is very simple Christmas wreath. We used pine cones, red berries and etc. 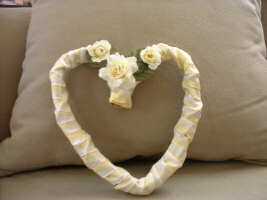 The base wreath is artificial and straw ring was used. 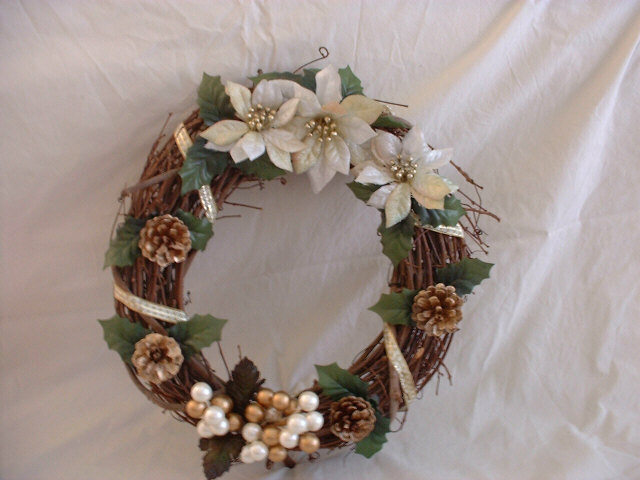 This is also a simple wreath. Added some miniature dolls(snowman and teddybear). Mistletoe berries are top of the wreath. 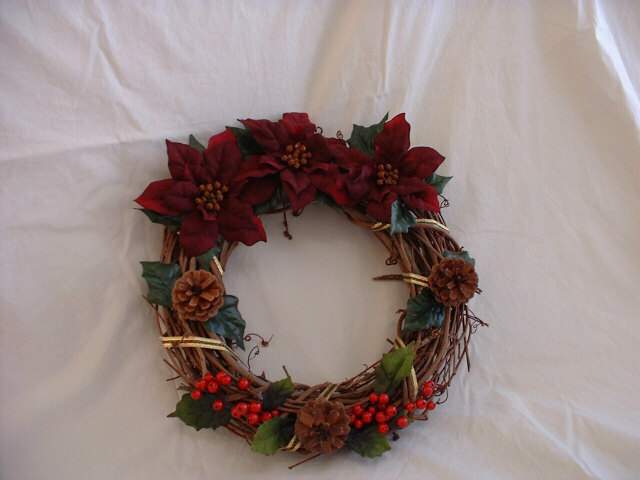 This wreath can be used almost all the seasons. The basic color is white and gold, and grape vine was used. This wreath might be good for Christmas holiday season. Basic color is red and use the taste of the nature. I have made this for Valentine's Day. Of course you can use it for just decoration. Basic color is yellow which make you feel relax. Basic color is white and pink, and wood moss was used. Please go to the "FAQ" page.